Marissa Greenband started working at Breathe in 2018. She graduated from California Polytechnic State University, San Luis Obispo in 2017 with a BS in Kinesiology with a concentration in Health Science. 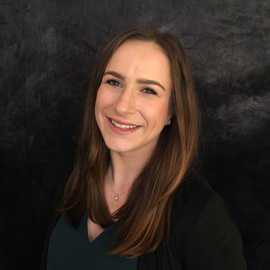 She also holds a Master of Public Health degree from UC Davis.Marissa’s practicum thesis work, A Multi-Faceted Approach to Improving the Smoke and Tobacco Free Policy at UC Davis, began her heightened interest in tobacco-free education. When not working with the community for Breathe, Marissa loves teaching spin classes, eating dark chocolate and hanging out with her cats Fishy and Chip.